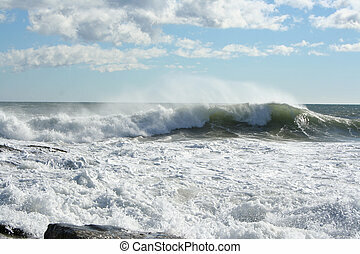 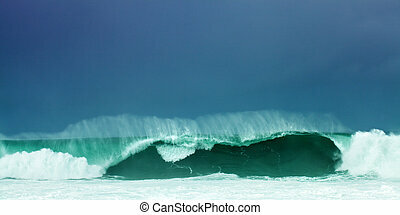 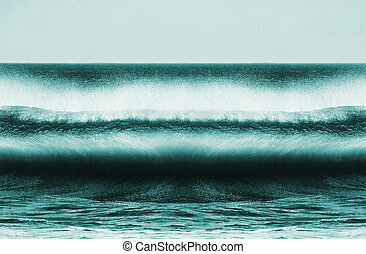 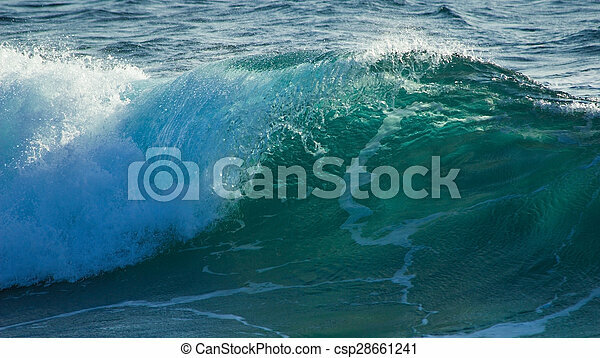 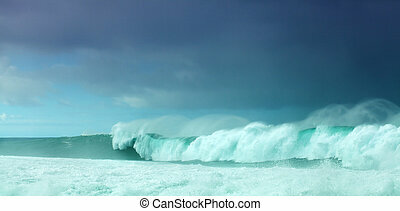 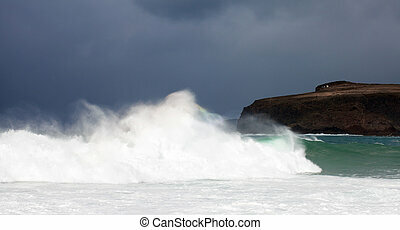 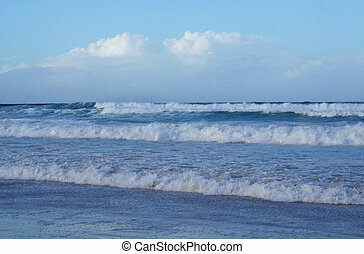 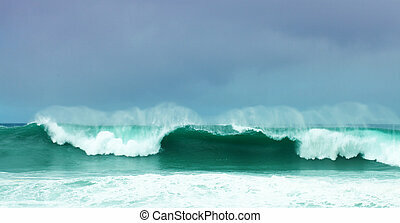 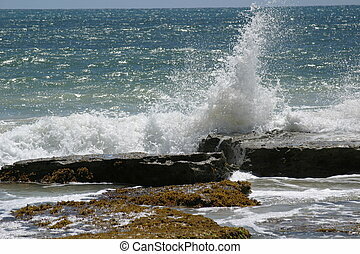 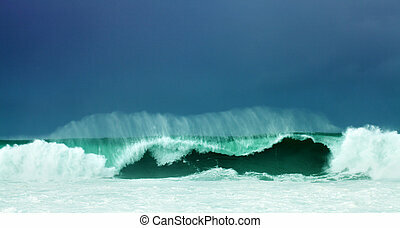 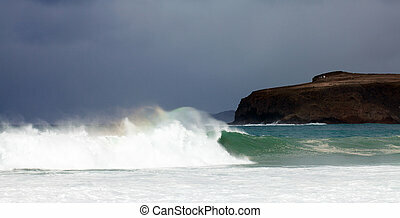 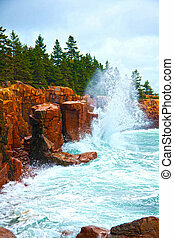 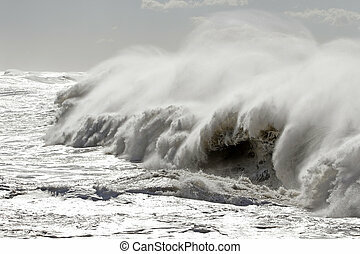 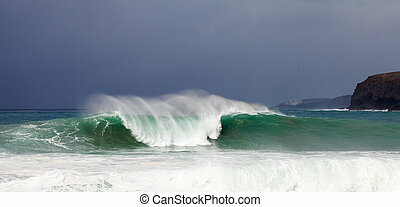 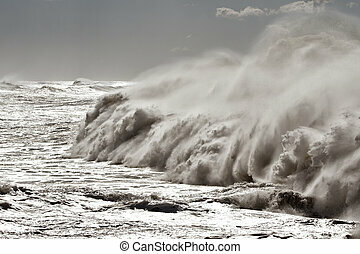 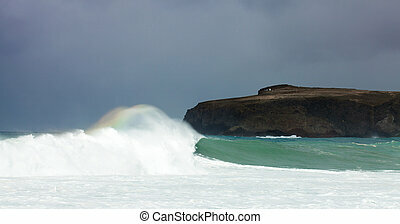 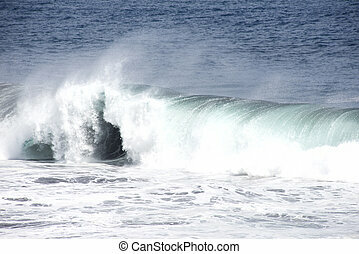 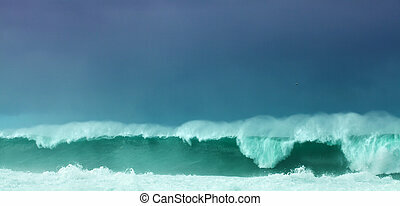 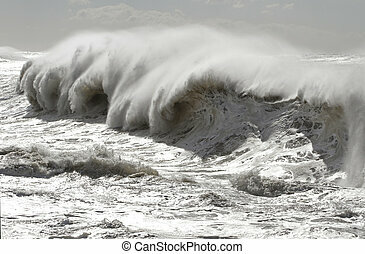 Powerful ocean breaking waves with backlight, making the water translucent. 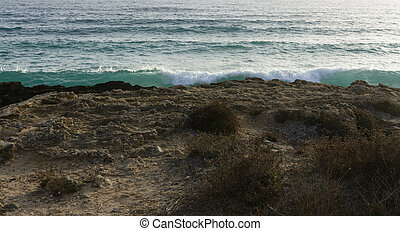 Breaking waves in Ses Covetes, Majorca. 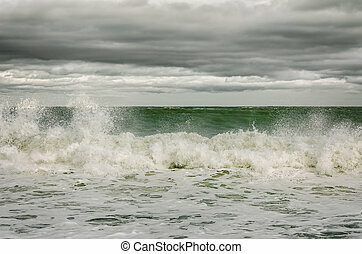 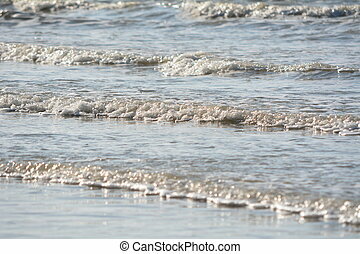 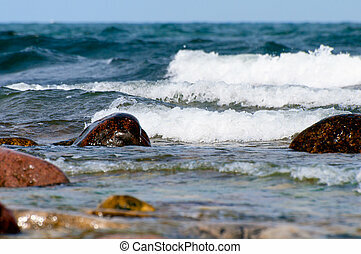 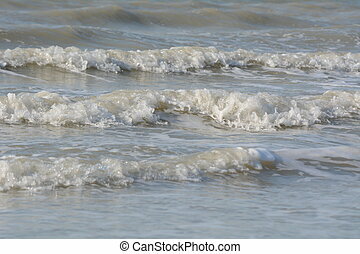 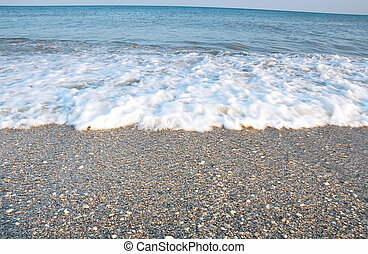 Breaking waves at the swedish coast of the Baltic Sea.